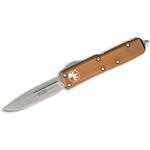 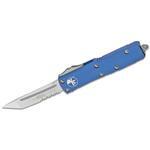 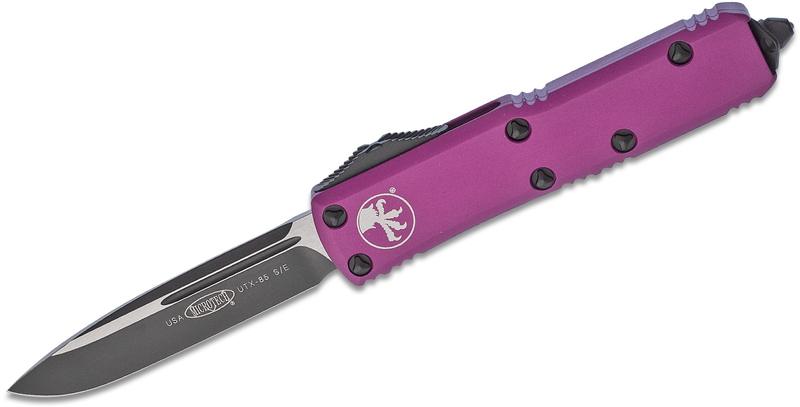 The Microtech UTX-85 OTF knife is the perfect combination of compact size and big performance. 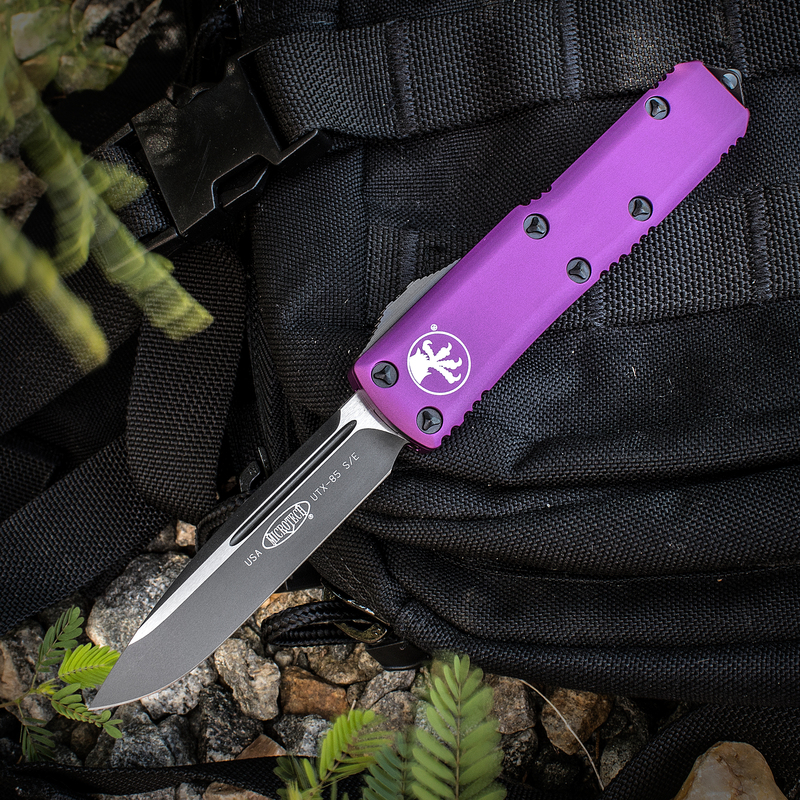 At 85% the size of the Ultratech, the Microtech UTX-85 is manufactured with the same materials, on the same machines and with the same ingenuity as its predecessor. 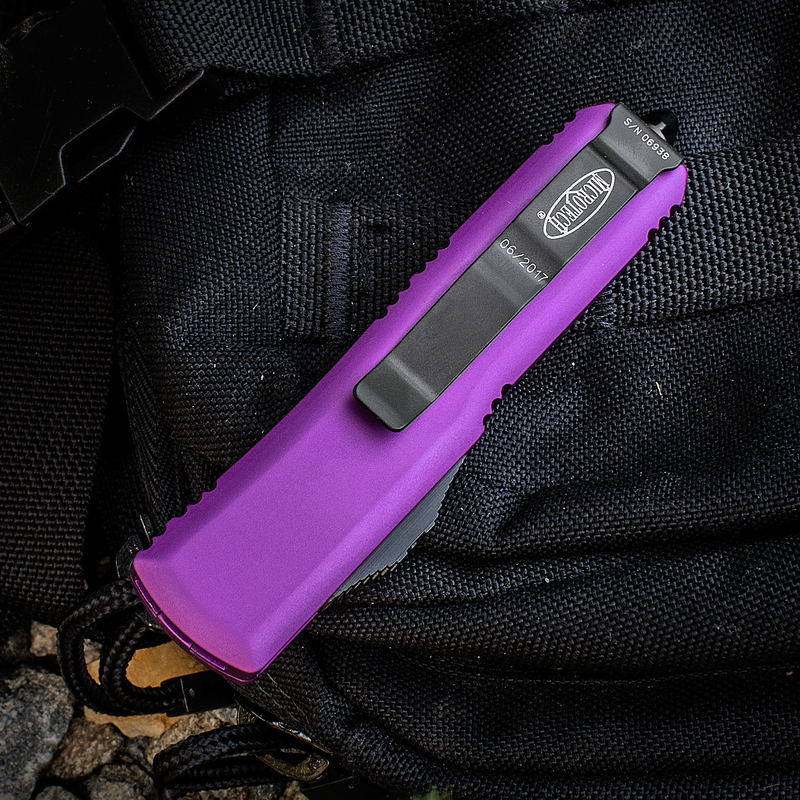 The Microtech UTX-85 is the perfect knife for all situations--no matter what your cutting task; it will mesh seamlessly with your lifestyle. 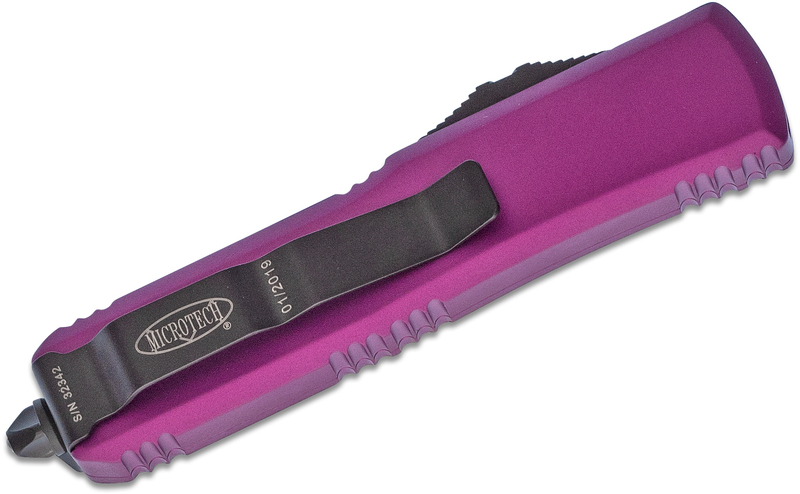 With its quick one-handed open and close action, it gets the job done in seconds. 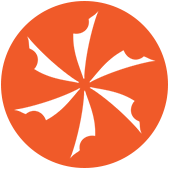 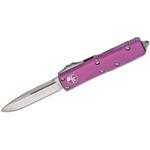 Equipped with an ambidextrous pocket clip and compact size, this is the perfect choice for everyday use and carry. 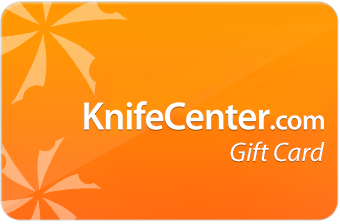 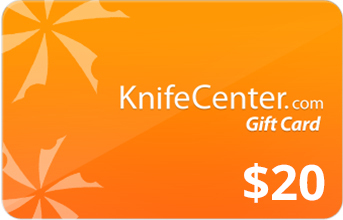 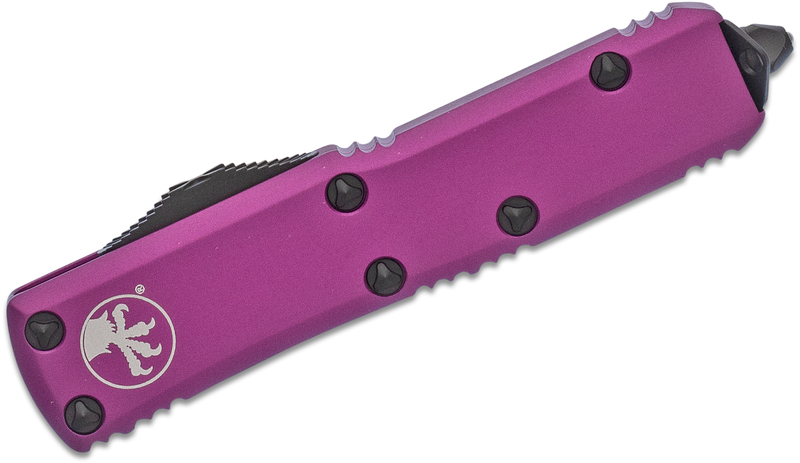 Hey, I wanted to share "Microtech 231-1VI UTX-85 AUTO OTF 3 inch Black Drop Point Plain Blade, Violet Aluminum Handles" with you from KnifeCenter.